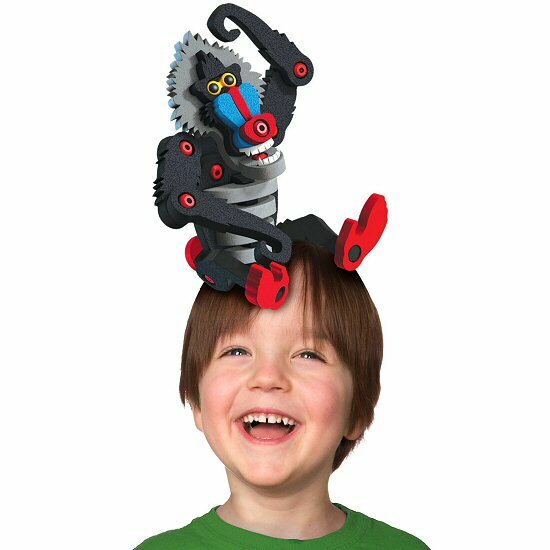 With this amazing Mandrill Bloco foam building set, you can follow the instructions to create a fun and detailed Mandrill or let your creativity take over and create primates based on your own imagination! 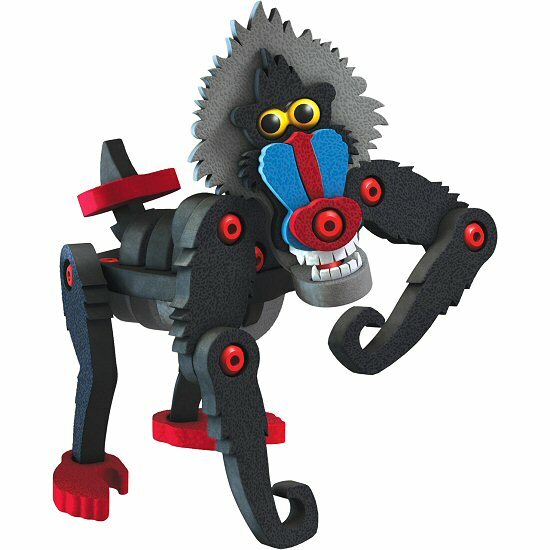 And once you've constructed your Mandrill, it is durable enough for imaginative play and adventure. Maybe your imaginations takes you to the land of the Lion King where the famous Rafiki shares his wisdom. Maybe you'll go on a jungle adventure or explore the outreaches of the wilds! 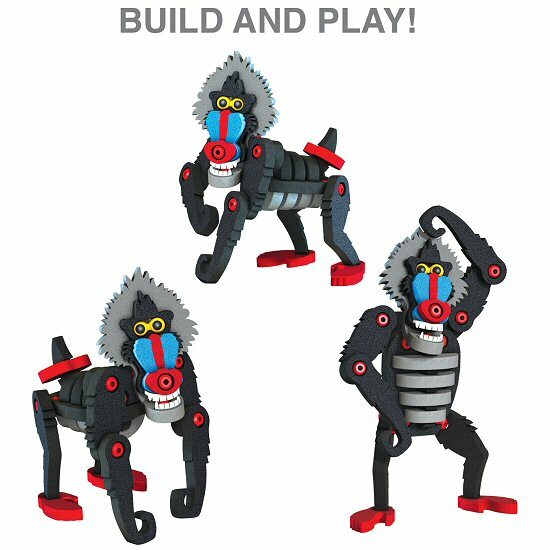 With all the positions your Bloco Mandrill can assume, combined with the ability to take the Mandrill apart and start again, you'll have hours and hours of creative construction and play. 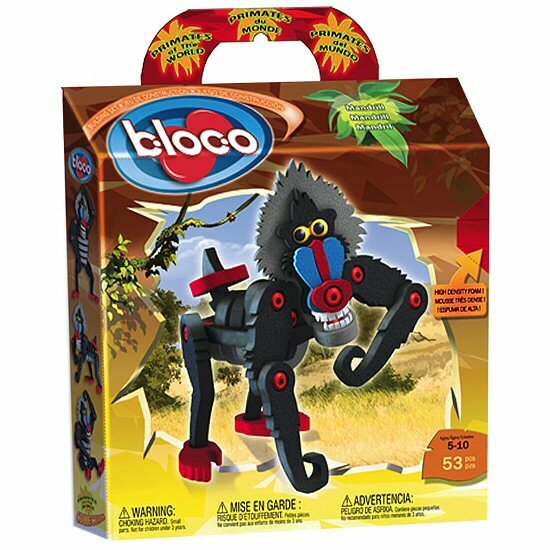 Note: This Mandrill construction set can be combined with other Bloco foam building sets to create even more interesting creatures.